Lil Wayne has finally spoken up about reports of his hospitalization after suffering multiple seizures. In a conversation with Power FM 106's DJ Feli Fel in Los Angeles. The YMCMB rapper confirmed that he had suffered multiple seizures as a result of being epileptic. "The bad news is I'm epileptic so I'm prone to seizures," Wayne explained. "This isn't my first, second, third, fourth, fifth, sixth or seventh seizure. I've had a bunch of seizures. Y'all just never hear about them. But this time, it got real bad because I had three of them in a row. With the third one, my heart rate went down to like 30 percent," he explained. "The reason being for the seizures is just plain stress, no rest and overworking myself." "I have people around me. I've actually had [seizures] so much, they already know what to do. They already expect it. They already know how to handle it. Certain times I don't even go to the hospital but this time it was real bad because, like I said, it was three in a row. I've never had three back-to-back like that and the third one was so bad." Lil Wayne also spoke on TMZ breaking the news, which as if that time was denied by Birdman and Mack Maine, saying he held no ill-feelings. 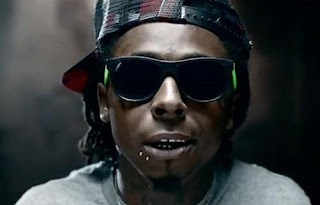 "Nah," Wayne replied, when asked if he was mad at TMZ. "Nah. That's what they do. I can't be upset at that. I get upset at my kids when they do things I tell them not to do. I can't get upset at TMZ for doing what they do. They gon' probably come out tomorrow and say something else about somebody else that ain't true. That's what they do. The truth isn't good enough for them so they gotta twist everything up."